File photo of Brian Crowley MEPA sustained bout of ill-health over recent years has forced the decision, he said, despite his best efforts to regain full health. 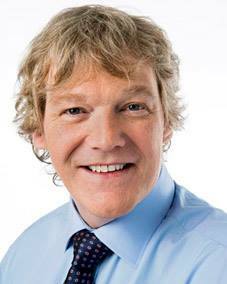 Brian Crowley became the most successful Public Representative in modern Irish Electoral history through his record breaking performances over the years. He once again topped the poll in the last election in 2014, his fifth European Election. With 180,329 first preference votes and 27.42% share of the vote in the Ireland South Constituency, he exceeded the quota by 48,829 votes to be elected on the first count. In the Munster European Elections of 1994, 1999, 2004 and 2009, he also topped the poll in each election and, in his new Ireland South Constituency covering ten counties of Munster and South Leinster, he repeated his record-breaking achievement. Another striking statistic from the last Euro Election is that nearly one-third of the 180,000 people who gave him their number one vote didn’t vote for anybody else on the ballot paper. Brian’s huge popularity overcame all obstacles over the years, be it a swing against his Fianna Fáil party, or new counties and people added to his constituency or personal health problems – he continued to be Ireland’s biggest ever vote-getter. Geography or Party were no barriers to his popularity as he hoovered up votes from all counties and from all party and non-party supporters alike. No other politician in recent Irish political history has matched his electoral consistency over his twenty five year period. Brian Crowley’s political career began back in 1993 when the then Taoiseach, Albert Reynolds, appointed him to the Senate to be a “voice for all those who have no voice”. A year later Brian decided to contest his first election when he ran for Europe in 1994 and the rest, as they say, is history. Brian was the longest-serving MEP from the Republic of Ireland in Europe and along the way he also found time to serve on President Mary McAleese’s Council of State. His most recent election platform was “CHARACTER, COMPETENCE, COURAGE” and those attributes probably get closest to understanding the Crowley phenomenon. His constituency work was all about “EU action at a local level” and that approach made him very much the people’s champion. He continued to implement his EU action at local level programme by working remotely from his hospital and home bases over recent years. In short, Brian Crowley is trusted by his electorate to represent them with dignity and also be a voice fearlessly on the people’s side. Brian is 54 years of age and a wheelchair user since the age of sixteen, when an accidental fall from a building left him paralysed from the hips down. Some years later he also survived another near-death experience in a car accident. The best known political historical figure, who also used a wheelchair, was U.S. President Franklin D Roosevelt. President Roosevelt’s disability deepened his understanding of human nature and brought him into direct contact with the less fortunate in society. After his death, Roosevelt’s wife Eleanor remarked that his disability proved a blessing in disguise, giving him strength, an understanding of human suffering and knowledge that it could be overcome. He also knew that with spiritual and physical courage, there is no situation that could not be met. Many people saw Roosevelt comparisons with the Ireland South MEP. Brian Crowley has always maintained that his own deep faith has sustained him all his life, especially over recent years.